Reckon Steve Ballmer's still laughing at it? I decided to buy my one in a car park. It was late at night, I was a sleep deprived new dad, and I was trying and failing to find a late-night pharmacy using my BlackBerry's web browser. I invented all kinds of new and exciting swear words that night, and when I came home I ordered an iPhone and threw the BlackBerry in the bin. I'm ordering another one today: my wife's contract is up, so she's going from a 3GS to a 4S. My wife can't be arsed with technology, but if I told her I was swapping her 3GS for anything other than a new iPhone - a BlackBerry, say, or a Lumia, or even a Galaxy S3 - I guarantee I'd end up in roughly the same shape as RIM or Nokia: in pieces, on fire, in a wheelie bin. We're on our fifth iPhone now. The world, according to Strategy Analytics, is on its quarter billionth. Not bad for a phone Steve Ballmer said nobody would buy. It's hard to exaggerate the iPhone's impact. It's damn near destroyed RIM and Nokia, forced Microsoft to come up with a decent mobile OS, made mobile internet - proper mobile internet, not some crappy facsimile - commonplace, paved the way for today's booming tablet market, given Flash a bloody nose, made Angry Birds an icon and introduced the app economy. 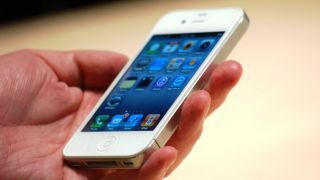 Is the iPhone 4S the best phone in the world today? My friends here at TechRadar towers say no, but if it weren't for the iPhone they'd be raving about some kind of Orange SPV, not a pocket rocket with a slick touchscreen and a world of apps. If you're an Android fan, you can thank Apple for saving you from an Android that looked awfully like a BlackBerry. If you're a Microsoft fan, you can thank Apple for finally persuading Microsoft to boil Windows Mobile down for glue. And if you're a BlackBerry fan... well, sorry about that. Tech journalists like me are paid to be the Waldorf and Statler of technology, the grumpy old men in the Muppet Theatre's balcony pouring scorn on everything they see, but even at my most jaded and cynical I can't help being excited about where we are now. Just look at today's trending topics and the stuff in the sidebar: Nexus tablets, Microsoft Surface, Windows 8 and Windows Phone 8, third generation Samsung Galaxies and the first of what could be many Intel-powered mobiles... we've seen more fascinating tech this month than most people expect to see in years. The tech industry is going through a magical period, an explosion of creativity the likes of which we haven't seen for a very long time. The iPhone isn't responsible for all of it, but it certainly lit the fuse.